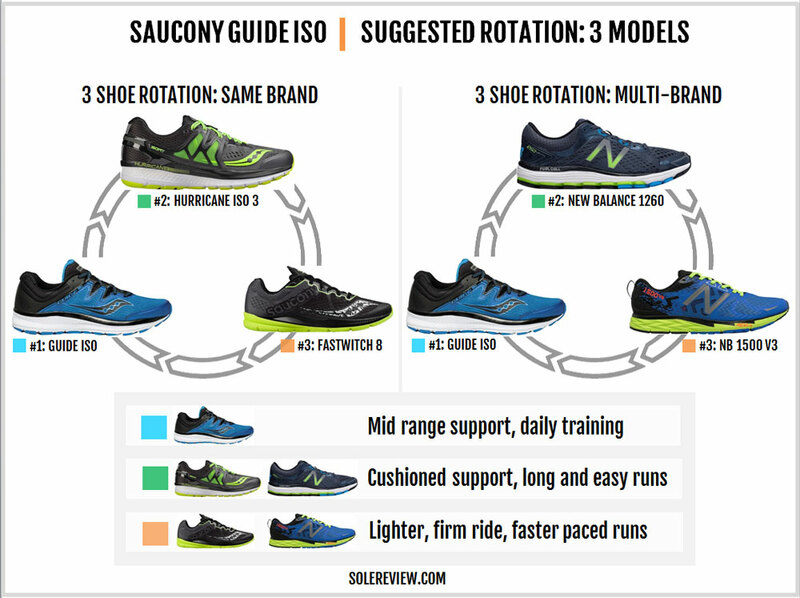 Saucony’s marketing pitch: A more refined fit and effortless transition. Upper: Ribbed mesh, fused synthetic, ISOFIT inner sleeve. 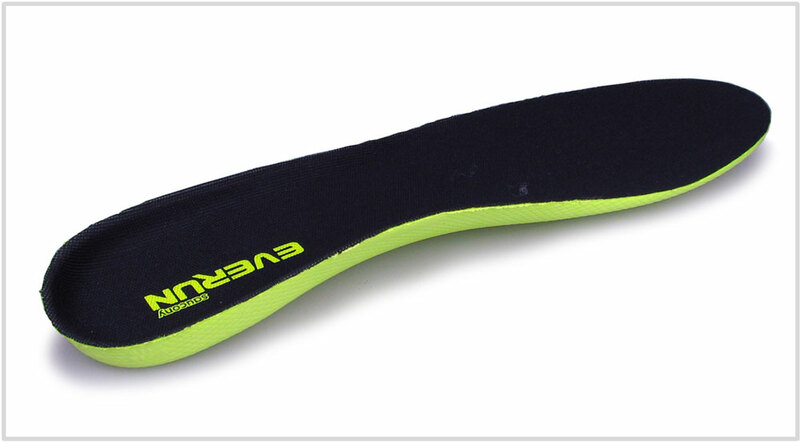 Midsole: Everun topsole over an EVA foam midsole with a harder medial post. 8 mm heel drop. Outsole: Soft blown rubber under the forefoot, harder carbon rubber under the rearfoot. 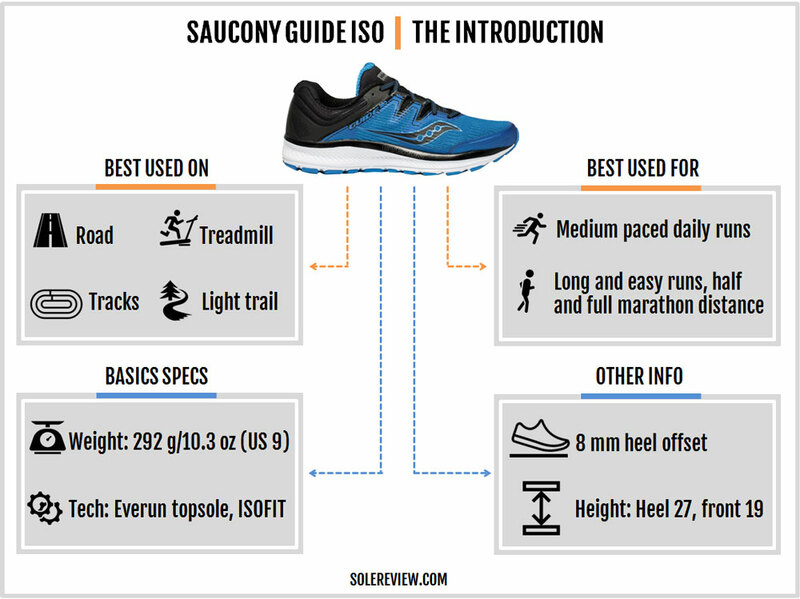 If you loved the firm and balanced ride of the Guide 9 and 10, you'll like the Guide ISO too. The ISOFIT construction improves the fit while retaining the familiar ride. 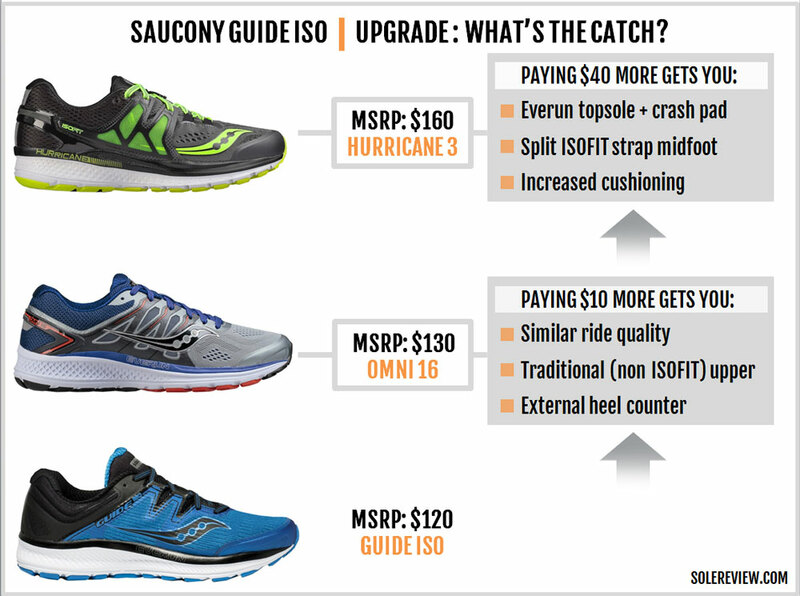 The good ol’ Saucony Guide gets an upgrade this year. Along with the Ride (its neutral version), the Guide has long been our top pick for a support shoe. Historically, all Guide models have delivered a firm and balanced ride with none of the intrusive medial-post experience. In fact, we’ve often remarked that the Guide has neutral ride manners. The Guide ISO possesses all the traits which made the Guide popular in the first place. Not only that, the addition of the ISOFIT midfoot system improves the upper fit. This corrects the somewhat imperfect fit of the past Guide editions. The Guide 10 for example, exhibited tongue slide along with a narrow forefoot fit. Adding an ISOFIT sleeve cleans the upper of overlays, thus freeing up some room inside. While the previous Guides were always available in an optional 2E(Wide) fit, we felt that the standard ‘D’ width could have done with more forefoot room. This has been true for the Ride as well. 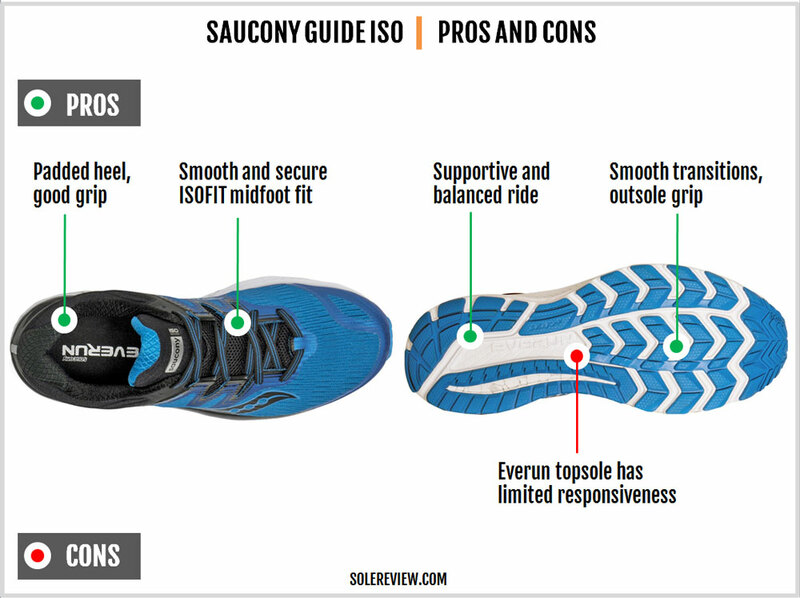 The Guide ISO doesn’t have that restricted forefoot fit. The midfoot also fits better and smoother without the annoying tongue slide, so the upper fit is an improvement over the Guide 10. The ride feels as balanced as it did before. 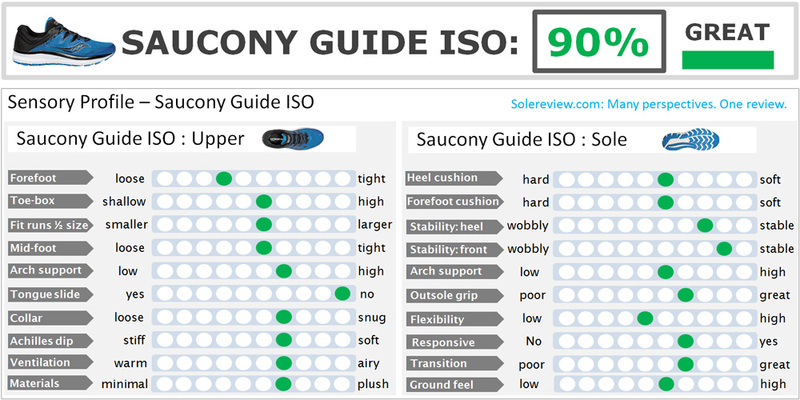 Most of the Guide ISO’s midsole is EVA foam. The inner sidewall has the firmer medial post while the rest of the midsole has a firm EVA. 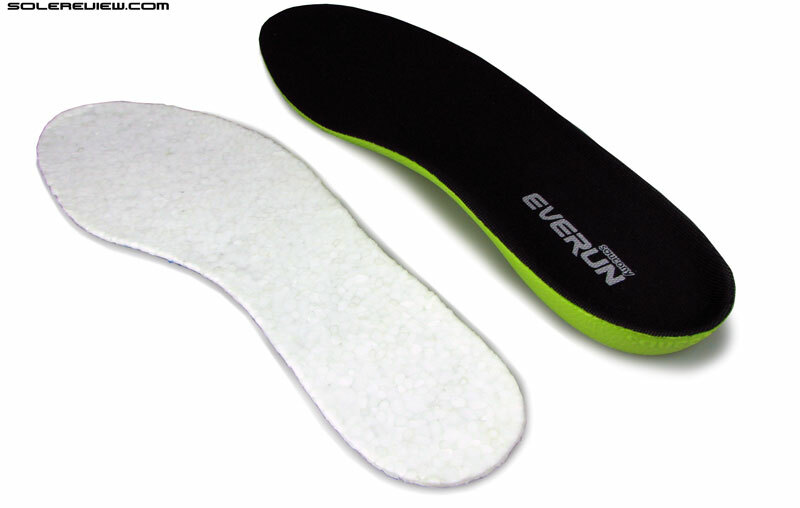 The Everun ‘Topsole’ and a foam insole combine to produce limited responsiveness. Like the Triumph and the Hurricane, the Guide’s nomenclature gets a reset. The name changes from ‘Guide 10’ to ‘Guide ISO,’ which means that the next Guide will be called the Guide ISO 2. 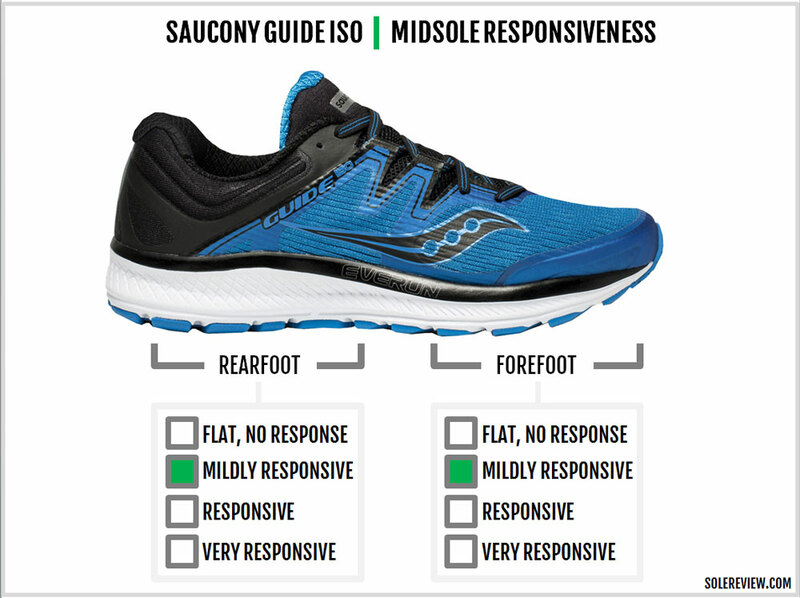 As the ISO suffix suggests, the inclusion of the ISOFIT midfoot system is the headlining act. A combination of an inner sleeve and outer straps is new for the Guide, and this replaces the traditional tongue and lacing design. These changes mean three things. First, there’s no tongue slide. Second, the ISOFIT alters the quality of midfoot fit. Third, the number of lacing rows decreases from seven to six. The Guide ISO uses a new upper material. Saucony advertises it as ‘engineered mesh,’ but not in the sense we know it. Instead of having visible areas of closed and open mesh structures, ventilation happens through these narrow channels aligned length-wise. And while the ribbed mesh looks stretchy, it isn’t. There’s a marked decrease in Flexfilm usage over the upper. Both the inner and outer upper use less of the fused overlays, thus giving the Guide ISO a cleaner look and feel. Even the thinner Saucony logos blend in better with the rest of the scenery. The lack of fused layering doesn’t translate into a loss of structural integrity. The ISOFIT sleeve gives the upper a nice natural form. The heel is plushly padded, using a soft lining which is also used on the tongue. The heel keeps the hard internal counter with some external detailing. Reflectivity is present in the form of a thin strip on the back. Saucony redesigns the toe-box. Not only is the new bumper higher, but a part of it extends over the big toe. The sole updates aren’t as significant as the ones on the upper. Still, the Guide ISO introduces a few changes. The firmer medial-post is smaller in size than the Guide 10. Instead of being a large foam block, the ISO’s midsole wedge has a sloped profile. The top of the new medial post is narrower than its wide base. Due to this sloped profile, there’s a small change in the ride quality. At first glance, the outsole geometry seems very similar to the Guide 10. The forefoot has ‘Triflex’ strips of blown rubber while the rear has harder rubber. The rearfoot has a wide transition groove. 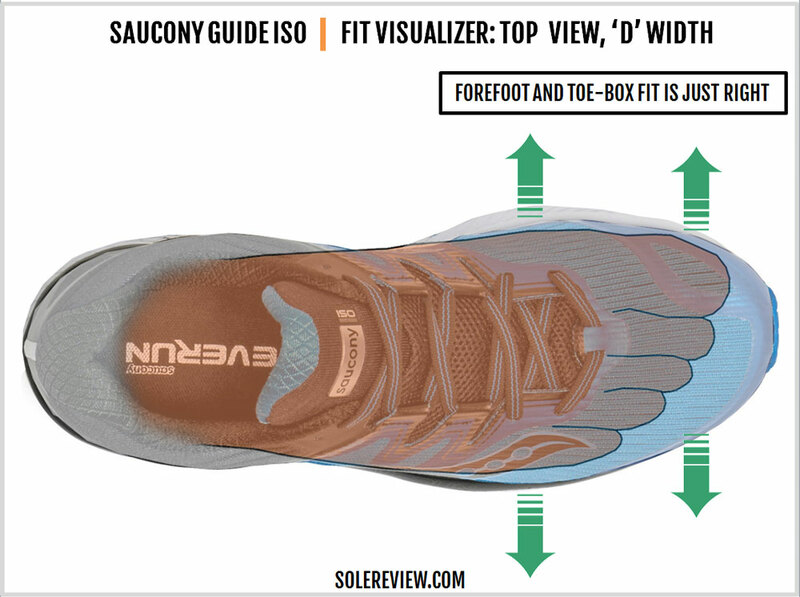 Saucony introduces two updates to this familiar layout. The first is the crash pad redesign. The outsole loses the groove molded into the Guide 10’s crash pad. In lieu, the crash pad extends the notched grooves all the way to the edge. In many ways, this ‘new’ heel design reminds us of Brooks running shoes. 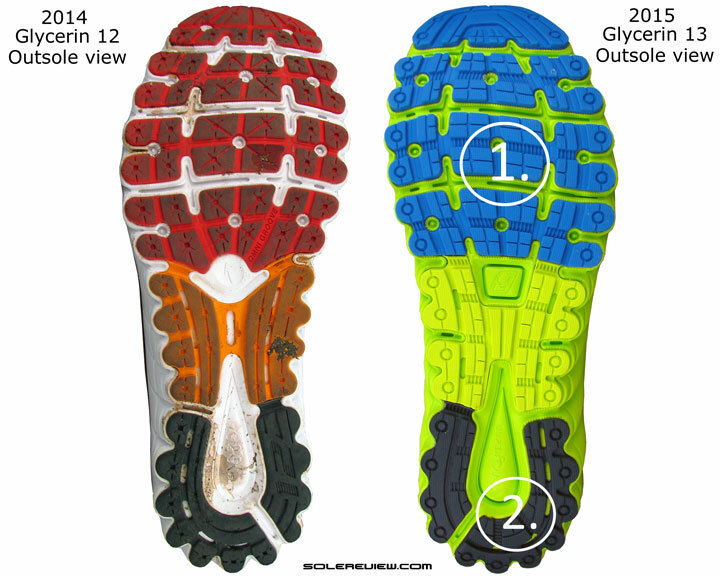 The second update happens to be the extension of the transition groove to the forefoot. A thinner groove branches out of the wide groove under the heel and splits the forefoot outsole into two. And no, the Guide ISO does not have full-length Everun like the Hurricane or Liberty. The Everun material is only used as the ‘Topsole.’ This is a secondary insole of sorts and is located below the removable sockliner. We can’t think of anything negative from a durability viewpoint. The firm EVA midsole and the medial-post do a better job at resisting deformation compared to softer-soled shoes. The upper is durable due to a combination of structured mesh, an inner sleeve, and Flexfilm. The Guide ISO’s fit is an improvement over the Guide 10. Thanks to the inner sleeve, the midfoot now fits better both from a grip and sensory perspective. The interior feels smoother, and the extra material helps secure the midfoot. The broad loops of the ISOFIT panel also make the lacing process quicker. There are a few other fit influencing changes. The toe-bumper is higher along with an extension over the big toe. This helps free-up some sideways and vertical room. 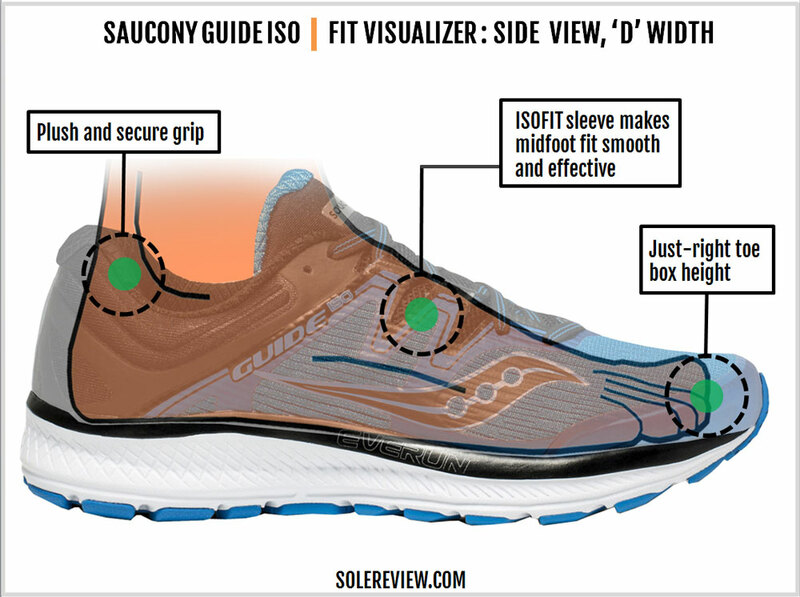 The lack of overlays on the forefoot makes the ISO better fitting than the Guide 10. The Guide 10 had a pointy curve near the last eyelet, and this part required some time to break-in. The ISO tones down the eyelet curve so it’s a better fit experience right out of the box. If you sense an increase in top-down lacing pressure over the Guide 10, then you aren’t imagining things. Reducing the number of lacing rows (from 7 to 6) on the Guide ISO leads to a marginal increase in cinching pressure. The heel retains its plush and secure hold. The ISOFIT also fixes the irritating tongue slide of the previous Guide models. In the past, we’ve heaped praise on the Guide for its very balanced ride character. Despite the medial post, the midsole does not have a biased ride. This is attributed to the firm cushioning. The midsole has a firm molding, and this prevents excessive compression of the lateral side. The Guide ISO feels even more neutral than the Guide 10. That’s because of the medial-post sloping away from the rearfoot. This leaves more foam between the upper part of the medial-post and the heel. As a result, the medial-post is less noticeable than the Guide 10. If it isn’t clear already, we’ll say it again – the Guide is a firm shoe. 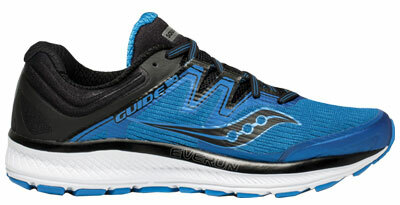 Though the midsole profile looks similar to the Ride, the cushioning is much harder. 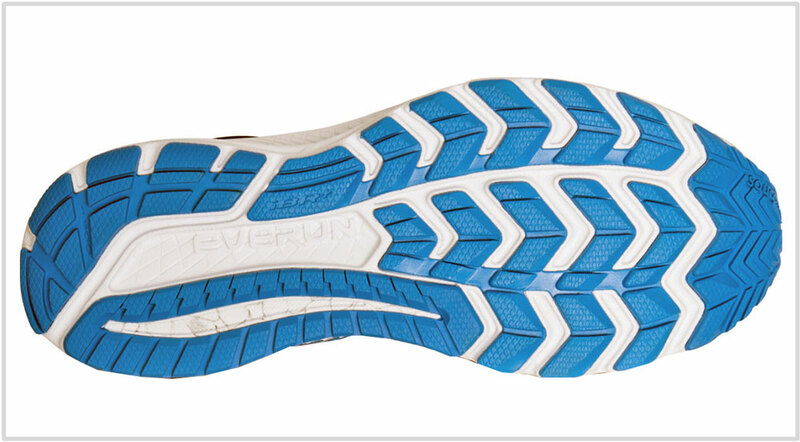 Everun is present only in the form of a superficial Topsole, so it doesn’t affect the ride a lot. Even the insole placed over the topsole is thinner when compared to the ones used in the older Guides. The Guide ISO’s inherent firmness makes it the ideal candidate for fast-paced training. The transitions are efficient due to the low level of foam compressions. The outsole makes contact with the surface at most points through its length. This helps deliver a consistent ride experience. 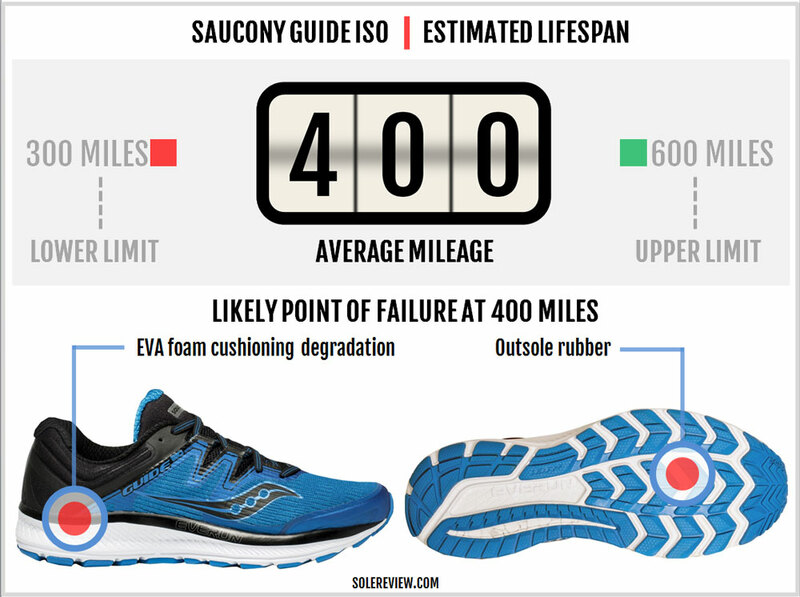 That said, the Guide ISO’s firm cushioning might not be what you want in a daily trainer. In that case, our comparison charts will help find a shoe which is right for your needs. The Guide ISO fits great. The newly added ISOFIT sleeve makes the midfoot comfortable and functional. Removing the overlays also helps free interior room and makes the breathe better. 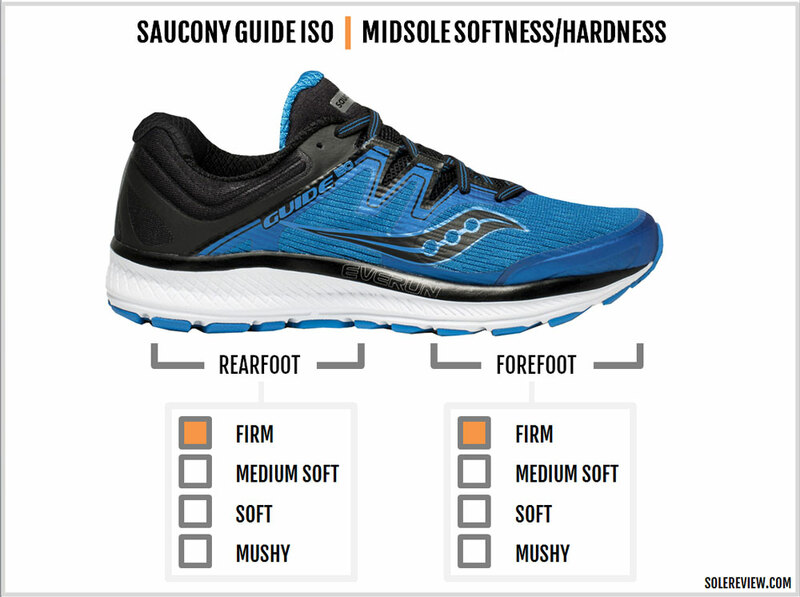 For a medially-posted stability shoe, the ride quality is balanced, consistent, and efficient. The shoe weighs just around 10-ounces which makes it lightweight for its class. The shoe gives nearly no reason for complaint. We use the word ‘nearly’ because the Everun component is a bit of an eyewash. It exists in the form of a thin Topsole which has a negligible effect on the ride quality. PRICE UPGRADE : WHAT’S THE CATCH? 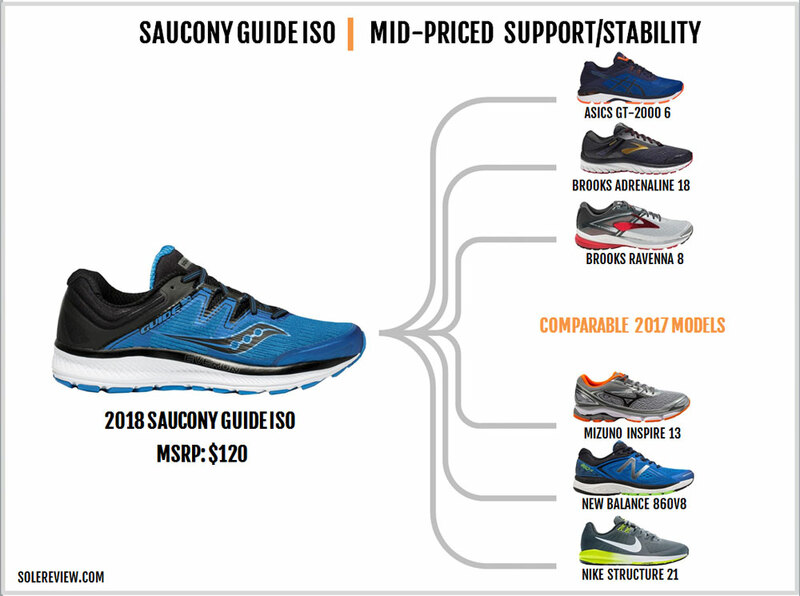 Though the Hurricane ISO 4 with its full-length Everun midsole is out in the market, we feel that the Hurricane ISO 3 is a more relevant upgrade. The ISO 3 has a firmer ride than the ISO 4 and yet softer than the Guide ISO. At a $10 upcharge over the Ride is the Omni 16. Like the Guide, the Omni has a similar EVA midsole with an Everun Topsole. The upper isn’t ISOFIT, and the heel has additional support in the form of an external clip. The Guide ISO is a firm shoe, so you can pair it with the softer Hurricane ISO 3. The Hurricane works for the long and easy runs. If the idea of a lower profile cushioning sounds enticing, then the Liberty ISO will be a good second shoe. Outside of Saucony, the New Balance 1260V7 rotates well with the Guide as a long distance support shoe. For race-days and such, the Saucony Fastwitch 8 or the New Balance 1500V3 are great options. All shoes on the list save the Brooks Ravenna 8 and the Mizuno Wave Inspire 13 have a harder medial wedge. 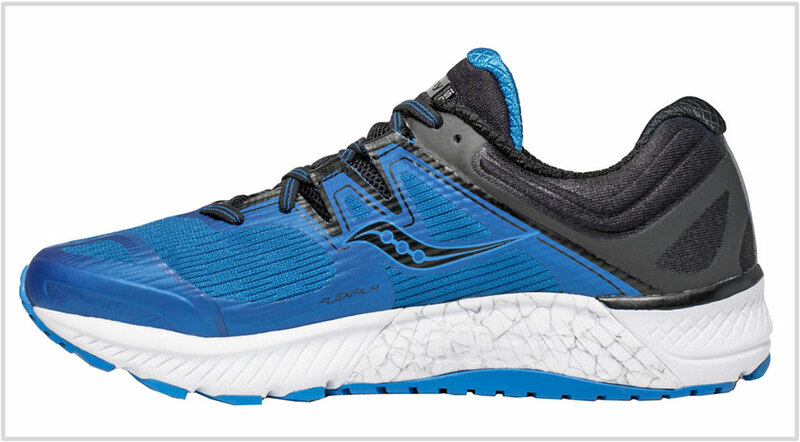 The Ravenna is mild stability with a cushioned ride; the Mizuno Inspire 13 is nearly neutral due to its parallel Wave plate. The Nike Structure 21 is very firm, even more so than the Guide ISO. The GT-2000 6 and the New Balance 860V8 have a ride quality which is a mite softer than the Guide. 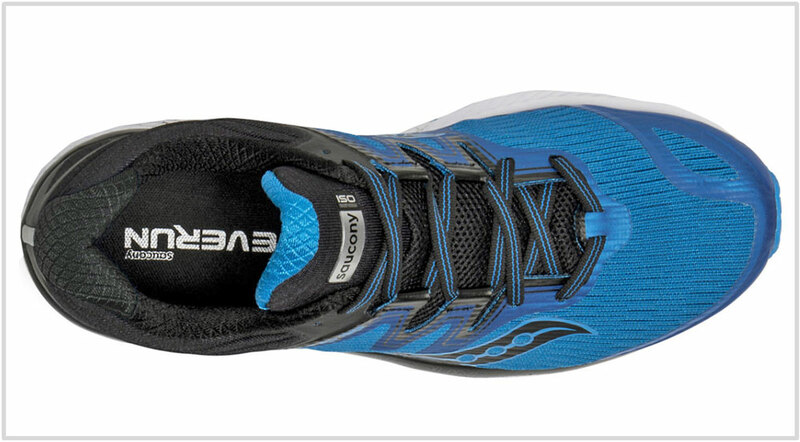 The recently updated Brooks Adrenaline GTS 18 is another great stability shoe option. It has an improved upper along with a supportive and cushioned ride.